I remember the days when food courts or ‘medan selera’ were all the rage. Canteen style, with lots of seats in an open space, dozens of stalls to choose from, all sorts of food. It was the go-to place for tasty and cheap food. But as standards of living increase, people opt for the air-conditioned comforts of a shopping mall or glitzy cafes, and food courts have slowly lost their charm. More recently, two very prominent ones – Asia Cafe in SS15 and Ming Tien – announced their closure to make way for redevelopment of the land. 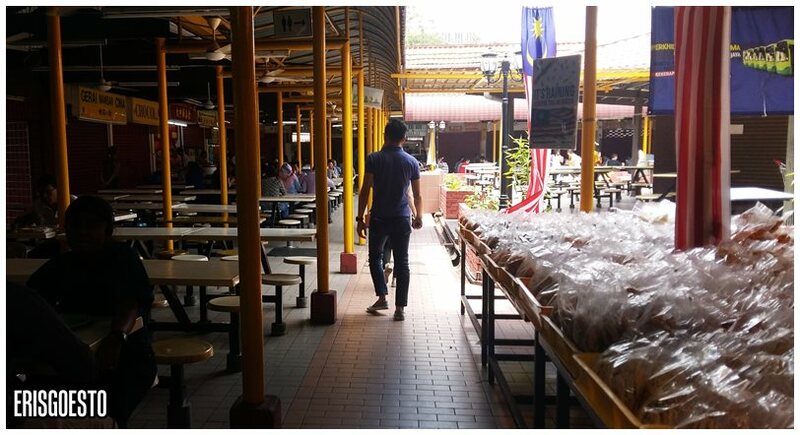 One of these surviving old food courts is the one in PJ Old Town. While I’m not sure how long it has been around, I think it is easily 30 years old as my parents used to eat here in the 1990s, when I was still a baby. Lunch crowd was mostly made up of the office crowd. Half of the stores only open for dinner, but there was still a pretty good selection. I like how they have a Chinese, Malay and Indian section, and all the races can be seen eating together. Now that’s muhibbah! 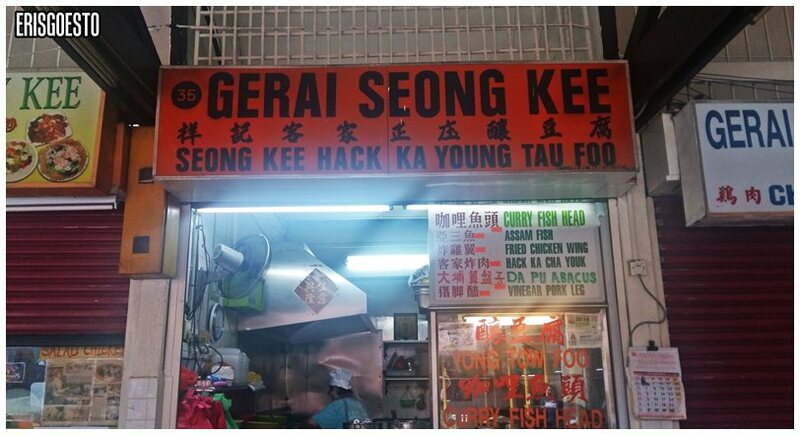 W suggested we try out the Yong Tau Foo (assorted items stuffed with fish paste) at a shop called Gerai Seong Kee. 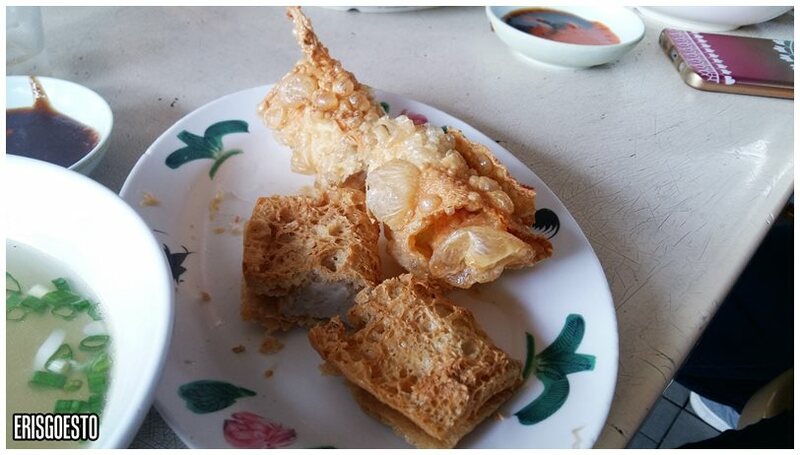 They hand you a chit, and you tick off the items you want – either fried or served in a soup. 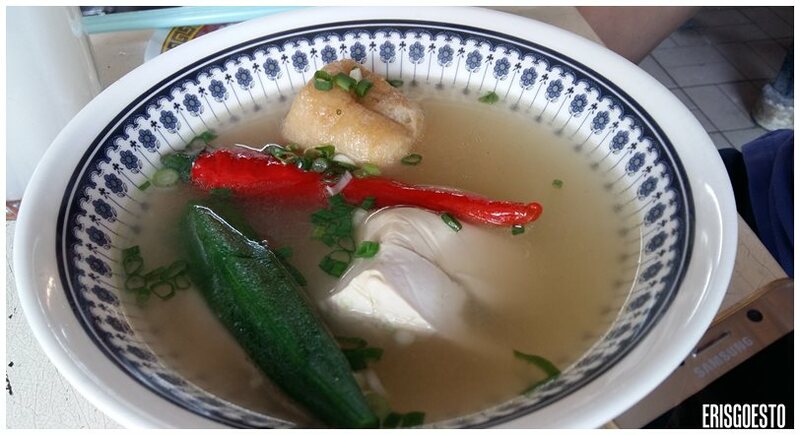 AD’s stuffed lady’s finger, tofu, tofu pok and chilli in soup. 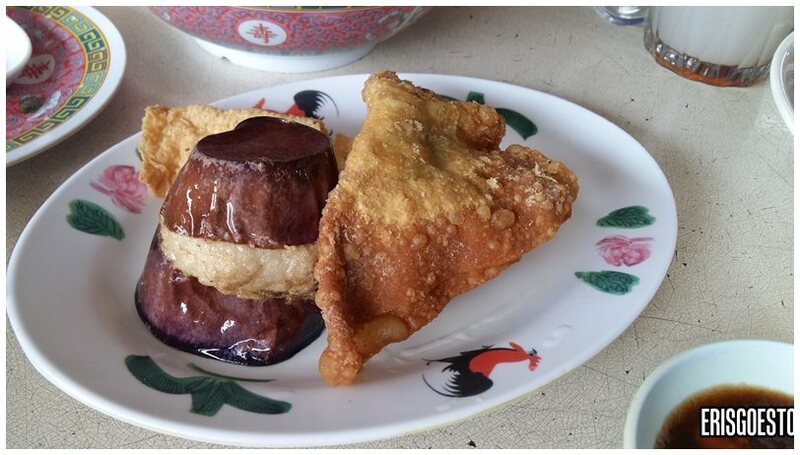 W ordered stuffed brinjal and fried dumpling. Their fried chicken wings. Oh. My. God. I think I’ve found something I love as much as Jollibee, and that’s saying something. 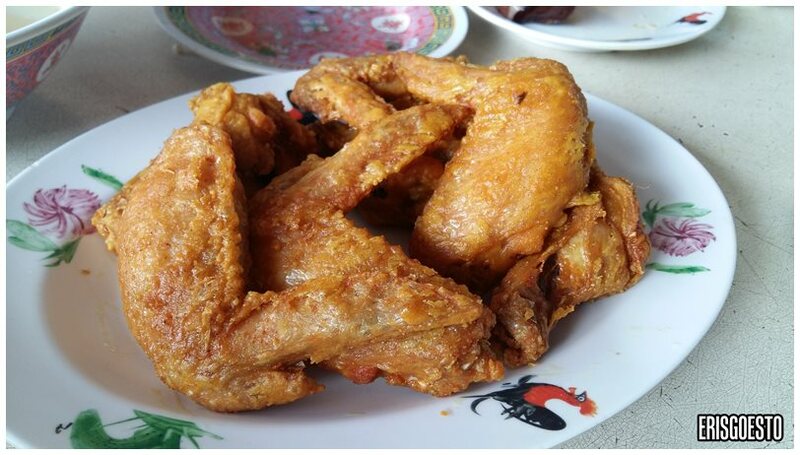 Crunchy and golden, the skin was salty goodness with a hint of curry powder, while the inside was piping hot, tender and juicy. Despite eating several pieces, I did not feel like it was greasy at all. Each piece is RM3. I’m planning to go back and just getting like 10 pieces to snack on okay maybe that’s too much.